Howard Wolfson had some nice things to say about the blog. He pointed out that I tend to go for a "twangy, lonesome" sound. Fact is, I've been wanting to move away from that for a while. I started this blog to discover (and help others discover) the kind of rock that gets your blood pumping, that has a "if I can't set the world on fire I'll rule the ashes" attitude. 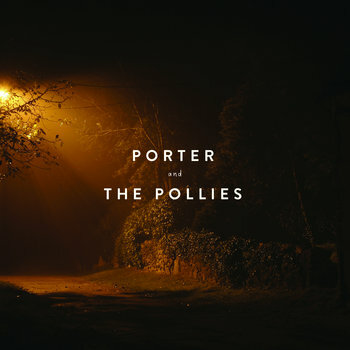 Porter and the Pollies bring it. If you've been here a while then you're already familiar with this ensemble. This seven-song EP is the product of a sad, drunken recording session with Chris Porter from Some Dark Holler and Muscle Shoals supergroup The Pollies. The songs were recorded live and, I suppose, in one take. The band deigned to clean up the mixes to leave the songs as raw and messy as when they were recorded. The album absolutely sounds like a rowdy concert. If it doesn't get your fist in the air, nothing will.